When describing the genetic makeup of an organism, we are describing its genotype. The genotype is the set of genes carried by the organism. The phenotype is the outward appearance of an organism. Stacy is currently using molecular techniques to explore many different questions associated with the invasion of the red seaweed Gracilaria vermiculophylla. Check out the following links below to learn more about Stacy's research methods! 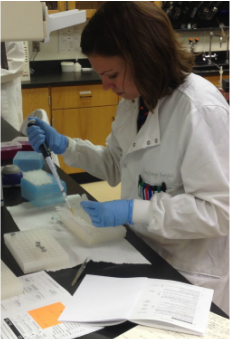 STACY CONTRIBUTES TO THE MOLECULAR ECOLOGIST.. Check it out here!